The Pro-Lite® 3D Calf Support delivers crucial gradient compression to injured calves, yet its breathable fabric makes it comfortable to wear over long durations. 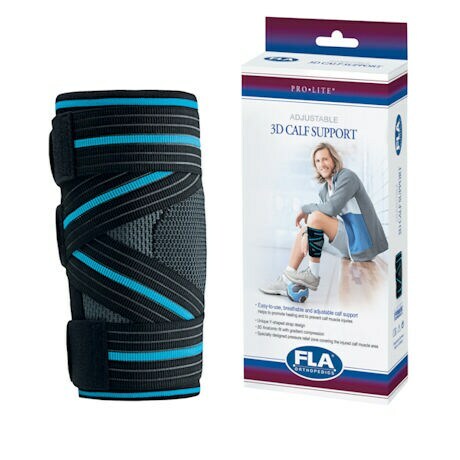 Innovative Y-straps let you adjust compression and stability for enhanced relief from pain and edema. Tackling your recovery is a breeze with Pro-Lite® 3D Calf Support's easy on and offdesign. Gray. Sizes: SM-LG. To size, measure around leg 4 ¾" below center of knee cap. Imported. Item can only be shipped within the Continental US.